A professional new website for a modular home builder. Create a custom website for a modular home builder with the ability to display floor plans and special coastal home plans. 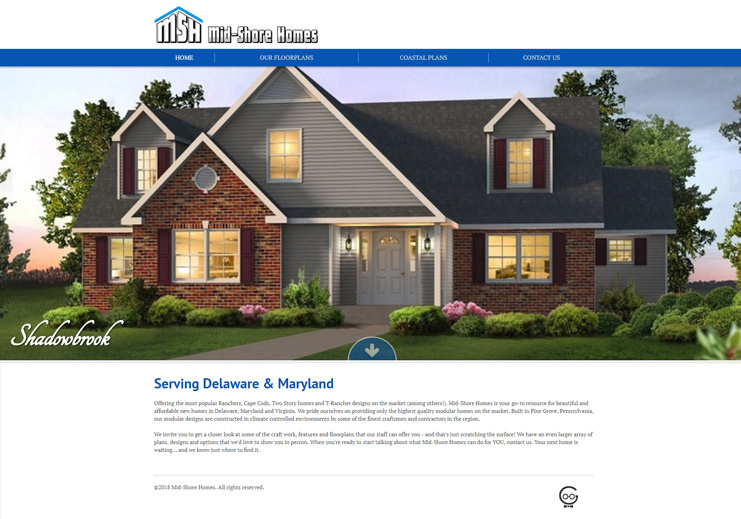 Techno Goober developed a classic new website for Mid-Shore Homes that displays their modular home floor plans with custom search options.